I arrived in the small town of Wilkesboro, North Carolina on Saturday morning. Wilkesboro is not the type of town you really notice or generally have any cause to stop in. In some many ways the town's 10,000 or so residents probably prefer it that way, you don't live in this kind of town if you like hearing your neighbor's TV at night. But last weekend was a weekend that you did want to pull off the highway, because just a few miles off the highway the country's top bluegrass and folk talents gathered to an adoring crowd that was more than triple the size of Wilkesboro. For the past 21 years Doc Watson and his family have held a festival in this small town to honor his son Eddy Merle Watson who had passed in a tractor accident. What started as a humble gathering to celebrate Merle's life and raise funds for a garden on the campus of Wilkes Community College, has grown to become one of the premier music festivals in the country and an economic powerhouse for the region. Walking into the festival I was pleasantly surprised at the overwhelming friendliness of the staff and attendees and the overall family atmosphere. From the friendly church group handing out free hot dogs, firewood, and water to attendees; to the Boy Scouts running the free busses, you could tell that this was an event where the community came out give festival goers a warm welcome. Having never been to Merlefest before, I was excited at the prospect of seeing several of the headliners as well as many of the staple bluegrass acts I've come to know from numerous festivals. The Saturday morning the heat was already starting to be a factor and the dust was starting to rise from the well tread paths. Having missed Thursday and Friday already I was eager to catch the first act I would be seeing that day, The Waybacks, but instead the rain came. The weather was supposed to be horrible all weekend with thunderstorms throughout, but pulling into Wilkesboro it was all sunshine. Shortly after lunch though, it poured with a healthy side of thunder and lightning shutting down the stages for awhile. As we took cover in the dealer demonstration tent, I was introduced to Rick Turner who was representing his company D-Tar: Duncan Turner Acoustic Research. 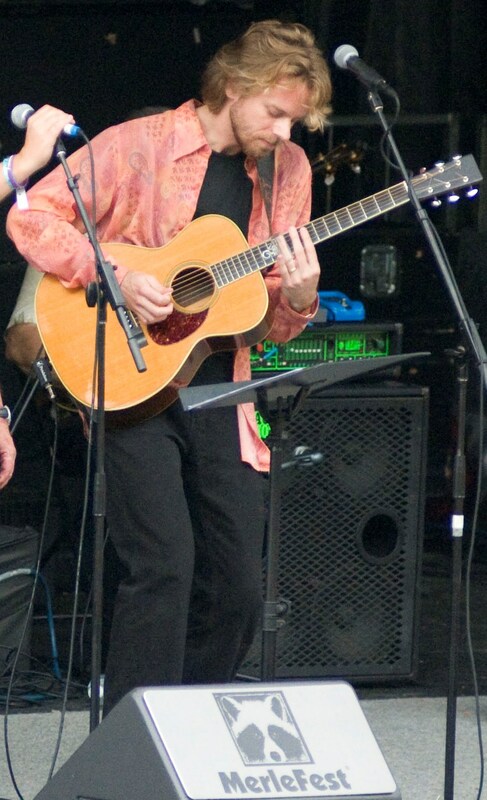 Rick Turner worked with the Grateful Dead from 1969 through 1973 and was also a co-founder of Alembic guitars. He talked to me a bit about the science of the Wall of Sound and the comparisons to concert sound today as well as shared some stories the Dead. He then showed me a fantastic acoustic guitar he had made as well as a Ukulele made from the wood of Bob Hope's bar. I also go to try out one of their acoustic guitar pickups and watched him do some installations for people. It's always interesting who you meet by chance at festivals such as this. Once the weather let up we made a dash through the mud hoping to catch the Wayback's resumed set, but they were completely rained out and had only played one unplugged song for folks gathered there. Seeing our disappointment they let us in on a secret, that they would be covering the entire Led Zeppelin II album with John Cowen on vocals and other friends, later that afternoon on the hillside stage. With great anticipation for the Waybacks set later, we walked around taking in some other acts and came across Rhonda Vincent and her band "The Rage" playing on the main stage. With a sweet distinctive voice, her band worked through numerous songs including the Martha White theme. In the past, and a tradition that continues on today, bluegrass bands often were sponsored by a flour or baking products company and in return they sing their theme song at shows. While in many genres this would be scoffed at (imagine Doritos sponsoring Phish and having to sing a theme song at Coventry and the mad rush for Doritos….) with the bluegrass crowd this is often a fan favorite and it became a audience sing along. After Rhonda Vincent we headed over to Hillside stage to take in the Waybacks and Friends. Since we already knew what the surprise album was, we took a perch high on the hill and watched the masses roll in. We could see the guests milling about the stage and various instruments being set up and we took guesses as to what song they'd be used on. Despite knowing what album was to be performed, we were still surprised as to how it was performed. Instead of doing Zeppelin II as a bluegrass tribute, it was done electric, with bluegrass instruments, just like you might imagine Led Zeppelin doing if they had to improvise and were denied their electric instruments. With John Cowan lending vocals that rival that of Robert Plant and James Nash taking his acoustic guitar with an electric effects pedal to rock star territory they really nailed the album. Joined on stage with drums, keys, several fiddles, banjos, mandolins, bass and everything under the sun, John Cowen and the Waybacks really outdid themselves. I can honestly say that this performance was one of the highlights of any festival experience I have been to. Currently there are several low quality clips on YouTube that will give you a taste of the show, and it should be available for download via official channels soon. As an aside, the hillside stage can become a giant mud slide during the rain and it was equally entertaining watching the trials and failures of those who chose to ascend or descend from the hill during this set. Topping that last set would have been impossible, and with that in mind we wandered around and took in several of the small stages. We were able to see a bit of Docabilly featuring Doc Watson, Sam Bush, T Michael Coleman, Jeff Little, Buddy Greene, and Richard Watson. After that we returned to our vehicle to get dry clothes and set up the tent for the night. We returned halfway through the Ricky Skaggs and Bruce Hornsby set. Now if you aren't familiar with the fact that the two are good friends and have released an album together you might think to yourself that this is a joke. In fact it's not a joke and the two work well together and blending their two different styles. While I wasn't extraordinarily impressed by their album, perhaps because I was having trouble digesting the fact someone did a bluegrass cover of Rick James' Superfreak, I very much enjoyed the live show. What started as an initial appearance on CMT's Crossroads has blossomed into a combination that has a lot of potential to help break down genre barriers and get more people introduced to bluegrass. After a long pause, was the performer whom the vast majority of festival goers were excited to hear, myself included. Levon Helm, the legendary drummer and voice of The Band had brought his Ramble on the Road band to Merlefest to delight the audience. I have wanted to see Levon Helm in concert ever since being introduced to his Midnight Ramble when attending a party in Woodstock several years ago. Since then I have been waiting for the chance to see someone whom I view to be an American musical treasure in concert. Needless to say he did not disappoint. Opening the show with Ophelia, it seems the sound crew had some trouble with feedback but I don't think that ruined the song for anyone. He then ran through songs in typical "Band" fashion by bringing out several guests to sing. Larry Campbell, a multi-instrumentalist who has worked with everyone from Bob Dylan to Cyndi Lauper and is a master at his craft and has a discography which probably ranges in the hundreds of albums added so much to the group. Graciously taking turns with everyone for a lead vocal spot, Helm performed several songs from his new CD Dirt Farmer as well as traditional and staples from the Band. The biggest highlight of the weekend for me was hearing The Weight live and being able to experience the closest thing to the Band I ever will. You will be able to see Levon Helm and his Ramble on the Road opening for Phil Lesh and Friends on several dates this summer. After the applause died down we were faced with a decision. We could attend the Midnight Jam, go see Donna the Buffalo in the Dance Tent, or return to camp. We decided to end the concert portion of the evening on a high note and return to camp. At camp there was a lively assortment of individuals many of whom were jamming around campfires. Newcomers were welcomed and offered a chance to play some licks on the stringed instrument of their choosing. This merriment continued until dawn and was the perfect end to a wonderful day at Merlefest. Sunday morning everyone awoke groggy, some stumbling out of tents still tired from the previous night. We packed up our tent and then headed into the show again to catch a few more acts before the drive back. The highlight for Sunday was easily Hot Buttered Rum whom we missed on Saturday due to rain and the Waybacks set. A short but entertaining set for them was the perfect start to a Sunday morning. The weather was appearing to hold out for us as we walked around the rest of the exhibitor tents and small stages. We caught bits and pieces of performances by The Lovell Sisters, The Pine Leaf Boys, Hot Tuna w/ Happy Traum and the Allison Brown Quartet before we had to hit the road again. About an hour down the road heading back towards Greensboro the skies opened up and sheets of rain came down. The rain was back and it was a good time to be headed back towards home. Merlefest is an experience and very much a community. People bring instruments and jam along with each other. There are clinics, workshops, discussions, and impromptu performances. 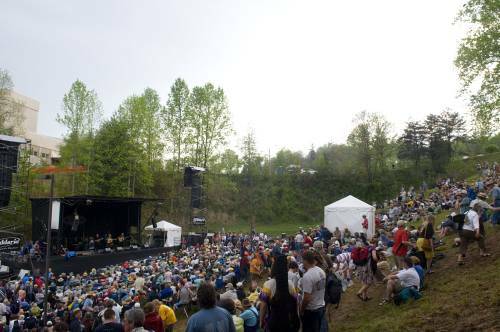 If you are a fan of bluegrass or even have an appreciation for it, Merlefest is the perfect place to become better acquainted and get up close and personal with your favorite artists. Next year I'll try and make it down starting on Thursday, and this time I'll bring my mandolin.